Clouds cross the sky. A dark rumble. A crow caws. A melody. Omens hang in the air, heralding the unexpected. The work of Billy Roisz and Dieter Kovačič explores the structures and mechanisms of the terror evoked in horror film. They experiment with listening and viewing habits, transforming the screen into a fragile membrane between the viewer and that which is viewed while investigating the space between outer and inner. Surfaces revoke any attempt at correlation; grids are interchanged with stripes and dots, and with the supposedly material. The borders between abstract and concrete are suspended. Gauging space for the sake of orientation is impossible. Sometimes, the chance to understand, to orientate, flares up for a split-second – only to disappear in the next instant. Vertigo. Angst, different than fear, has no “of what,” its object is a void: THE in huge red letters, joined by the screech of a crow against a cloud-covered background. THE what? The Thing, The Ring, The Descent, The Exorcist or simply, The Wedding Planner? structure and typical style elements it conspicuously copies. watching any of the genre’s most successful offerings. 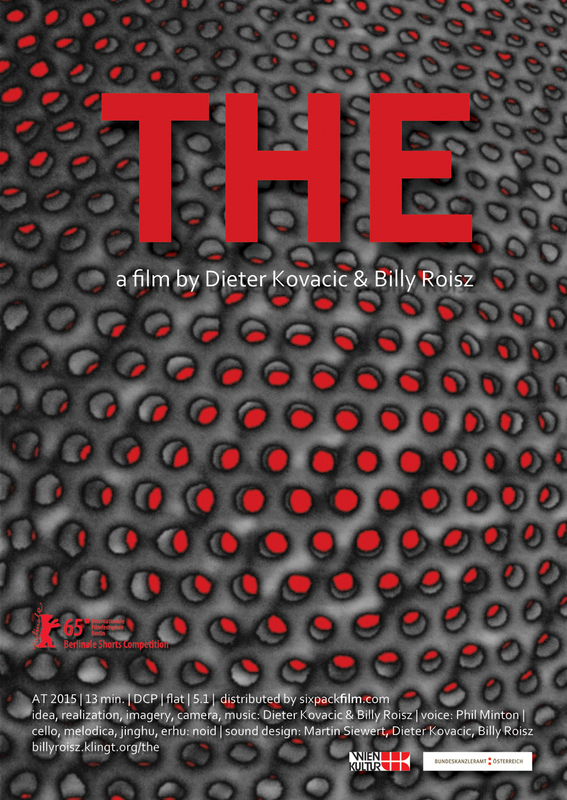 THE – excerpt on Vimeo.